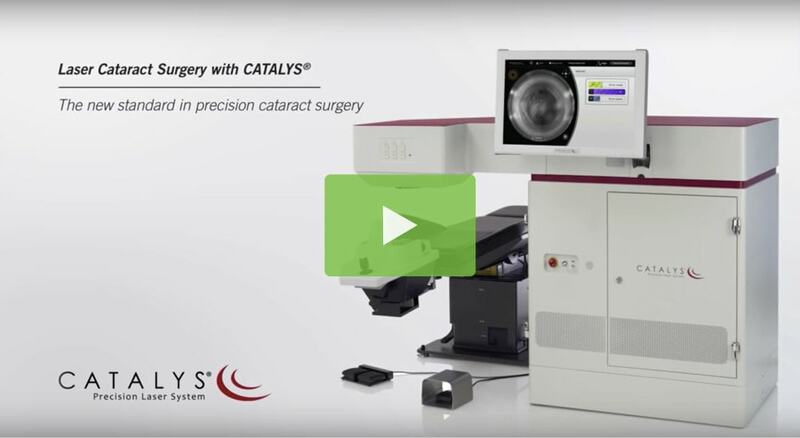 Click on the image below to watch a short video animation about the laser cataract procedure with Catalys Precision Laser System. Cullom & Farah Eye & Laser Center was proud to be the FIRST practice in Virginia to offer Laser Cataract Surgery using the breakthrough technology of the Catalys Laser and to have an on-site Catalys femtosecond suite. As an early adopter of this technology, we have trained other surgeons on this platform. In addition, we were the first practice in Williamsburg to offer ORA technology. There has never been a more exciting time to have cataract surgery! Leading cataract surgeons around the world are considering laser-assisted cataract surgery the wave of the future. As patients experience the ability to customize their visual results with a precise astigmatism treatment, more gentle procedures, and faster recoveries, this advanced approach to cataract surgery is quickly becoming the norm. Not everyone is a candidate for laser cataract surgery – your doctor will let you know which treatment is best for you based on your visual needs. Dr. Douglas Cullom, former Navy Commander, and his partner, Dr. Anthony Farah, are proud to offer Williamsburg and the surrounding areas this advanced procedure that is not only safe but also gives patients choices for improving their vision beyond glasses! 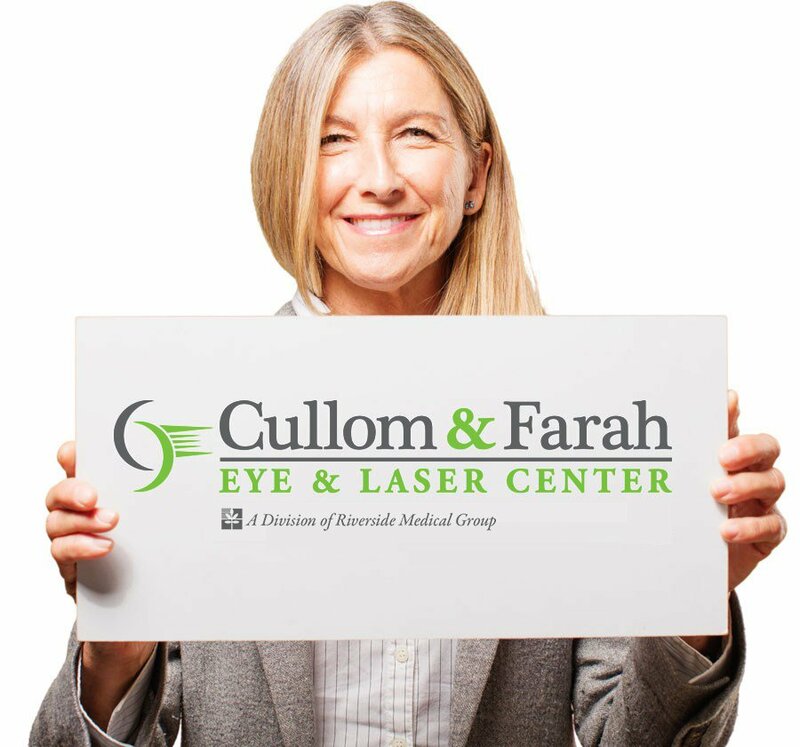 There are no more reasons to wait to improve your vision and your life, with Laser Cataract Surgery from Cullom & Farah Eye & Laser Center. At Cullom & Farah, we always strive to remain on the leading edge of optical technology. While the Catalys Laser can correct for astigmatism, allowing patients to improve their distance vision without relying on glasses by combining it with Advanced Lifestyle Lenses and ORA technology, our patients are now able to customize their procedure for optimal vision with results that minimize their dependence on glasses. ORA is a sophisticated technology that can easily measure the vision correction accuracy during surgery. This device is attached to the operating microscope and used during surgery to fine-tune surgical adjustments and achieve results that exceed those previously available. 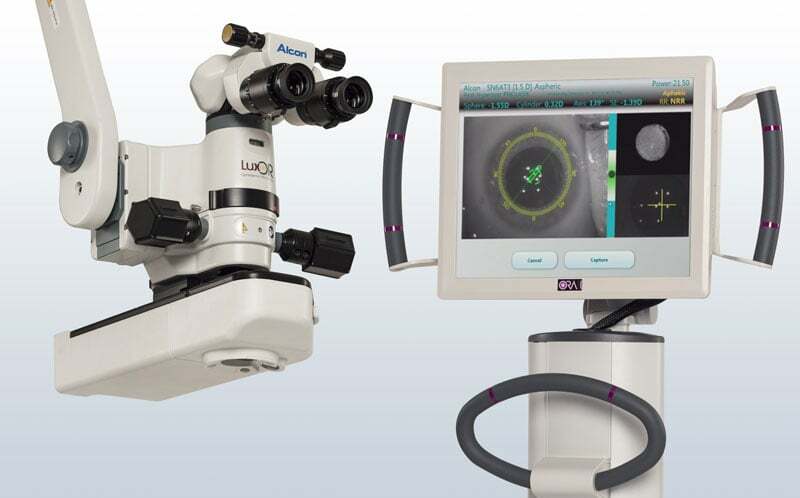 At Cullom & Farah, we use ORA for every laser procedure to help us fine-tune astigmatism treatments and pick the best possible Intraocular Lens (IOL). Performed in our on-site state-of-the-art surgery center, this combination of technologies is achieving unsurpassed results for our patients. "Dr. Cullom, I had my second cataract surgery on Thursday and two days later I am driving down Route 60 without my glasses. I am amazed at how well i can see. The signs and roads are so clear and legible. Thanks so much for your excellent work. Driving will be a lot safer from now on!" If you’ve been told you have a cataract or you have changed your lifestyle due to fading vision, there is no reason to wait any longer to take back your sight! Cataract surgery is one of the most common procedures performed in the United States today. In the hands of a skilled and caring surgeon like Dr. Cullom or Dr. Farah, you can be confident in your decision. Take the first step in regaining your vision and your lifestyle. Request a cataract consultation by calling 757-378-5028.